As the 2018 Indian motorsport season trudges along, last weekend (August 17-19) saw Round 4 of the MRF MMSC fmsci Indian National Racing Championship 2018 and the third round of the Ameo Cup 2018. In the qualifying session held on Friday, Rahul Rangasamy grabbed pole position in the top-tier MRF F1600 category. He was placed second in the championship coming into this round. For the Formula LGB 1300 class, Chennai's Nabil Hussain (MSport) was first on the grid. In the other categories, Varun Anekar of Race Concepts topped the Super Stock timings, Nikhunj Vagh of Team N1 in the Indian Junior Touring Cars. 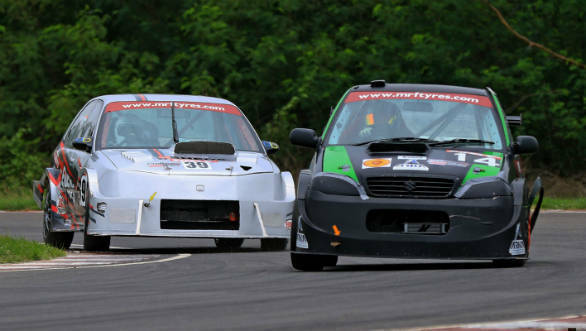 Raghul Rangasamy of Performance Racing also topped the Esteem Cup. The next day saw Raghul Rangasamy convert his pole into a win, which meant he also moved to the top of the standings in this class. Coimbatore's Arjun Balu (Race Concepts) came back from a slight hiccup last round and won the tight Indian Touring Cars race. Two races in the Formula LGB 1300 class were held on Saturday, Ashwin Datta (Momentum Motorsports) from Chennai and Sohil Shah (M Sport) from Bengaluru were the winners. In the Super Stock and IJTC race held on August 18, Varun Anekar (Race Concepts) and Prabhu AS (Arka Motorsport) won in the respective classes. 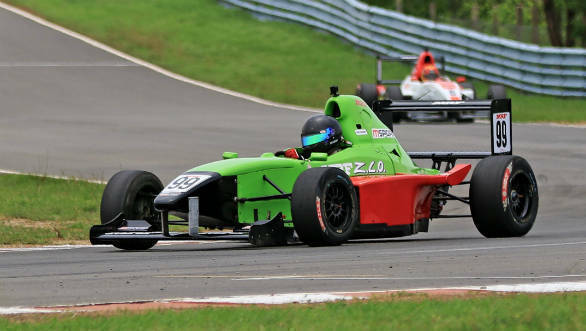 Goutham Parekh won the second race in the F1600s but the highlight for Sunday, August 19, was the 17-year old Yash Aradhya's first win in an MRF F1600 racer. This means that Raghul Rangasamy (134 points), following his win in Race-1 yesterday, leads the MRF F1600 championship. The winner of the championship will earn a ticket to the Mazda Road To Indy shootout in the United States later this year. The skirmishes between Arjun Narendran and Arjun Balu continued into ITC races on Sunday as well, but Narendran eventually managed to come out on top. Bengaluru's Ashish Ramaswamy (Arka Motorsports) continues to lead this championship with 131 points. Varun Anekar now leads the Super Stock category after his double win in this category, Nikunj Vagh and Biren Pithawalla of Team N1 won the Indian Junior Touring Cars and the Esteem Cup races, respectively. In the second ever race of the new Turbo class held in conjunction with the ITC races, both races for the weekend were won by Karthik Tharani in the VW Motorsport Vento TC4-A.